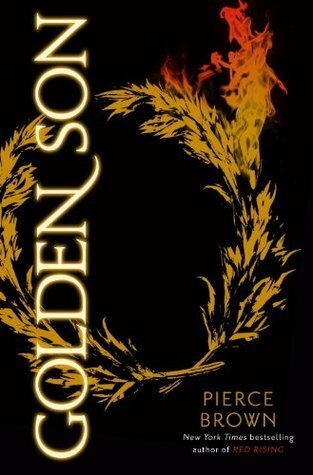 Golden Son is the second installment of the Red Rising series by Pierce Brown. If you haven’t read Red Rising, go do it. In this book we leave the surface of Mars and the brutal training play yard of the Golden children and head intergalactic. There’s a touch a space opera, other-worldly technological advances, new adult angst, power struggles, slaughter, violence and death-the list goes on and on and on. We watch Darrow lose his focus and find it again, lose his friends and find them again, lose his family and find them again, but best of all we watch Darrow lose himself and find himself again. In a booklovers universe that’s filled with YA giants like The Hunger Games, Harry Potter, Ender’s Game etc, Brown’s titles are a step in another direction. This author doesn’t need comparison to others in his genre because he does something that these other books don’t, he stabs you in the gut with a slingBlade made of fire, rips you to the sternum, lances your heart and then does it all over again without apology, without the assistance of a Carver to sew your soul back up. His writing is unique and consuming, his characters over the top but still captivating. The world he’s created… tremendous. There are Reds, Golds, Yellows, Pinks, factions residing over factions in an intricately designed world cross-stitched with Greek mythology. And don’t blink while you’re reading this, you might miss the deception, the thrill, the passion, and it’s all going to slap in you in the face at the end, leaving you wondering what the hell just happened, because it’s all pure awesomeness.